What the ski corridor would look like at the base of Aspen Mountain's west side if two lodge properties are approved. 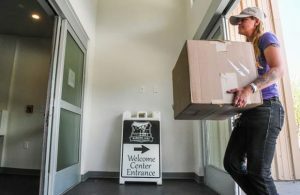 Aspen’s elected officials expressed sticker shock Monday when they were presented with nearly $8 million in costs that the public would be burdened with if developers rebuild the base of Aspen Mountain. 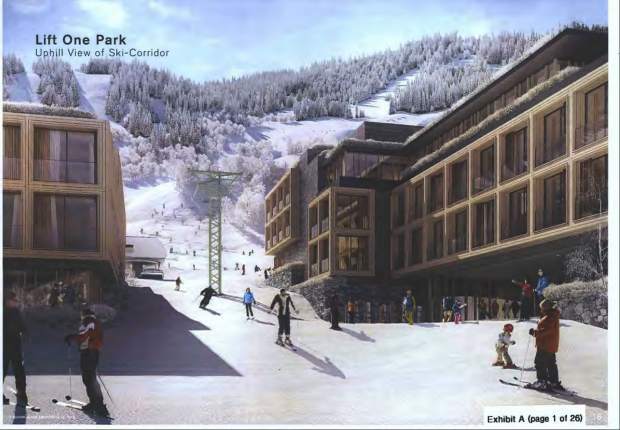 Council’s meeting Monday was the second public review of the Lift One Lodge and the Gorsuch Haus — two separate lodging properties that would be built on the Lift 1A side of the mountain, if approved by elected officials and city voters. 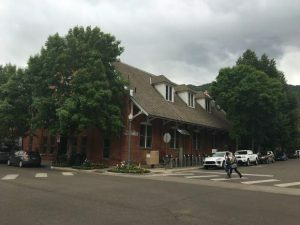 In a rough estimate cost-sharing proposal, the city of Aspen is being asked to pay for roughly $7.8 million in expenses related to the entire ski corridor redevelopment. Developers had asked in the land-use application that almost $4.8 million in city fees be applied to the project for public benefit elements. The cost sharing agreement also proposes that the city pay toward a new ski museum in a relocated and renovated Skiers Chalet Lodge, among other amenities. Mayor Steve Skadron said it’s completely out of the norm to waive fees and repurpose funds dedicated to other community projects to benefit developers. Michael Brown, one of the developers behind the Lift One Lodge, said it’s a misnomer to call it cost sharing. Rather, it should be referred to as community investment. Brown explained to council that the community benefits through tax dollars the city would collect as a result of the developments — in a location that desperately needs to be improved and in a tourist town that needs more lodging beds. He said the redevelopment would provide a wide-open portal to the base of the mountain, a mountain-to-town corridor, a new chairlift to serve World Cup ski racing, honor the town’s ski-racing history and give access to public parks, to name a few. He said later in the meeting that he doesn’t believe almost $8 million is what the development team is asking for and isn’t sure where that ask came from. The development team will come back with a different figure and specific asks at next week’s public review. Skadron said he has trouble giving tax breaks to developers when past councils have reflected a no-growth stance. He asked rhetorically why this council should give developers a break in favor of growth. Councilman Adam Frisch said the developers already are getting huge economic benefits for having their buildings closer to a reconfigured chairlift farther down the hill. He added that when developers start asking for millions of dollars, it is incumbent on him to ask whether the project is economically viable. Council members Ward Hauenstein and Ann Mullins said they’d be willing to share some of the costs, since they asked the developers to reconfigure their projects in order to accommodate the lift coming down the hill. Frisch, along with Hauenstein, said they don’t want developers to skimp on affordable housing when it comes to negotiating breaks. Council is reviewing the two land-use applications together as part of one project. If approved, it will go to city voters in March to decide on. A public vote will be triggered because the redevelopment plan involves city land and the lodges require variances to the land-use code. Lift One Lodge is a 107,000-square-foot timeshare and free-market property with 104 keys and the Gorsuch Haus is a 64,000-square-foot hotel with 81 keys. With those developments come a new Telemix chairlift that can be accessed at Dean Street, as well as a bar and restaurant in the old Skiers Chalet restaurant, a ski museum to be operated by the Aspen Historical Society, public park space and 50 public parking spaces in a subterrean garage, among other amenities. The review is on the fast track in order for council to meet the Jan. 14 deadline to get a question on the ballot for the March 5 election. Fewer than a dozen people spoke in the public comment portion of the meeting, and most of them were in favor of the redevelopment plan and a public-private partnership. 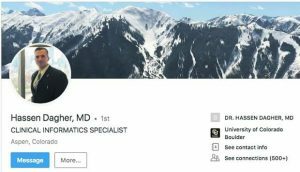 “I think it’s high time that something happens there,” said Bill Stirling, a former Aspen mayor and now a Realtor. 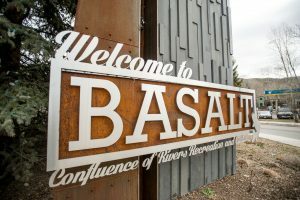 Aspen resident Phyllis Bronson said the size and mass of the proposed buildings are concerning, as is the review process being rushed in order for council to make the deadline for the March election. “I just think it’s awfully big,” she said, adding she doesn’t believe the ski museum would be that big of an attraction and would rather see affordable housing there. Stan Clauson, the land-use consultant for the Lift One Lodge, said the review hasn’t been rushed, and has been in the public view since this past spring when the lift alignment and ski corridor were revealed. Subsequent reviews and favorable support from the city’s Open Space board, Historic Preservation Commission and Planning and Zoning Commission took place since then. Hauenstein asked the developers where they plan to put the more than 100,000 cubic yards of dirt from excavation. The response was that they are working on that still. It’s estimated that the Lift One Lodge will generate 58,138 cubic yards of export material, generating roughly 5,800 truck trips utilizing 10-yard haul trucks. Gorsuch Haus would generate approximately 51,350 cubic yards of export material, generating 3,423 truck trips. Council is scheduled to review the application again Dec. 3, with a final meeting Dec. 10.